Temple run, a video game, was initially released for iOS devices and later, ported to the Android and Windows phone 8 platforms. 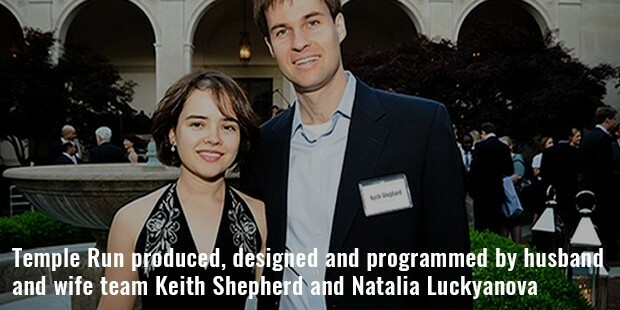 Developed by Raleigh-based Imangi Studios, it was released on August 4, 2011. Following the success of the game, its sequel, Temple Run 2 was released on January 17, 2013. 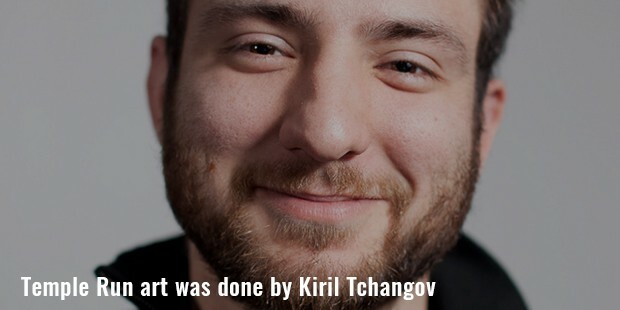 The game was jointly created by Keith Shepherd, Natalia Luckyanova and artist Kiril Tchangov. Temple Run is a continuously running game. The lead character is an explorer, who is chased by the evil Demon Monkeys for stealing a treasure from the temple. The player has to run to escape being caught by them. The game ends when and if the player is caught by the monkeys or if he crashes into any obstacles. The player collects coins, while running and, these coins are used to unlock the power-ups and other characters. Temple run was released on August 4, 2011. The game became an instant hit and attained the number one free iOS app in the iTunes Store immediately. The game was released for the Android platform on March 27, 2012 and on March 27, 2013 for Windows Phone 8. 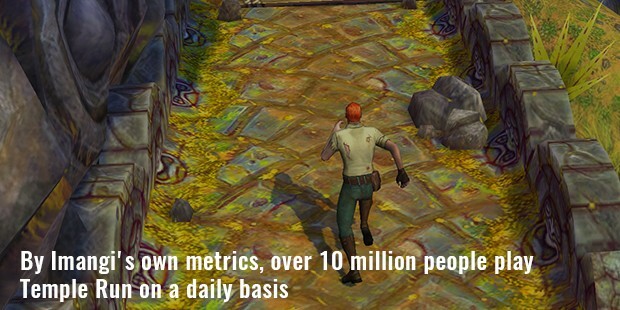 The success and popularity of Temple Run may be gauged from the fact that two spinoffs were released to promote the films, Brave and Oz the Great and Powerful; on June 2012, and February 27, 2013, respectively. 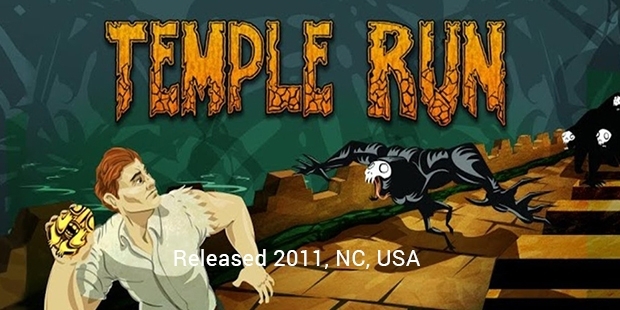 A Temple Run fiction series, “Run for Your Life” and an activity book were also published on July 2014. 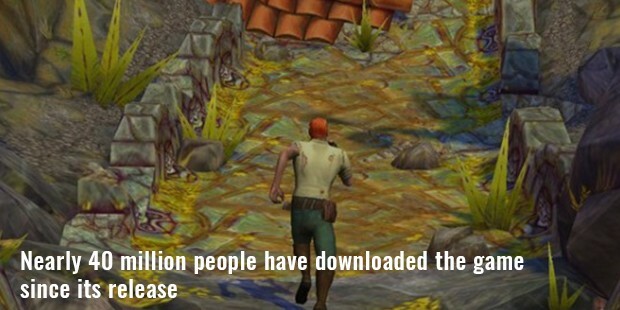 Temple Run and its sequel have been downloaded over 1 billion times, making it one of the paramount games in its class.